2012 Porsche 911 Carrera Manual Porsche Certified PRE OWNED!! **2 Years Unlimited Miles Warranty *** LOW, NO-HAGGLE PRICES: OUR ADVERTISED PRICE IS OUR BEST PRICE. Get a fair price up front without spending hours negotiating for it. Please confirm the accuracy of the included equipment by calling us prior to purchase. Porsche of South Shore is proud to announce the arrival of this lovely Porsche 911 Carrera. Finished in Dark Blue Metallic over Platinum Grey leather, the 911 Carrera has been carefully driven by two previous owners. Expertly maintained by Authorized Porsche Dealers, it is in pristine condition from top to bottom. The 911 Carrera was well-respected throughout its life and it shows! This Manual Transmission 911 Carrera has been specified with: - Sport Exhaust System - Auto-Dimming Mirrors - Navigation - Fire Extinguisher - Multifunction Steering Wheel - Metallic Paint Codenamed the 991 by Porsche, the newest and greatest iteration of this classic sports car has been improved in every way. A longer wheelbase contributes to more room and more stable handling, while the interior is modernized and is more spacious. The flat-6 engine has been revised and is more powerful and more efficient than ever before, while retaining its legendary sound. The Carrera S model ups the ante with a sport-tuned suspension, more powerful engine, and bigger brakes. It features all the creature comforts and amenities you would expect from a Porsche, and is primed for the track or a relaxing cruise to dinner. If you are in the market for a Porsche 911 Carrera, please call or email us today. 2014 Porsche 911 Carrera 4S Cabriolet PDK *** LOW, NO-HAGGLE PRICES: OUR ADVERTISED PRICE IS OUR BEST PRICE. Get a fair price up front without spending hours negotiating for it. Please confirm the accuracy of the included equipment by calling us prior to purchase. - PORSCHE APPROVED - CERTIFIED PRE-OWNED WITH EXTENDED WARRANTY - Porsche of South Shore is proud to announce the arrival of this stunning Porsche 911 Carrera 4S Cabriolet. Finished in Basalt Black Metallic over Black leather, the 911 C4S Cab has been carefully driven by two previous owners. Expertly maintained by Authorized Porsche Dealers, it is in pristine condition throughout. The 911 C4S Cab is covered by a Certified Porsche Warranty for an additional two years from the expiration of the original factory warranty, with no mileage limitation. This 911 Carrera 4S Cabriolet has been specified with many fine options: - Porsche Doppelkupplung Transmission (PDK, $4,080) - Sport Exhaust System ($2,950) - Sport Chrono Package ($2,370) - 14-Way Power Sport Seats with Memory Package ($2,320) - Bose Audio Package ($2,120) - Leather Interior in Black ($1,555) - Metallic Paint ($710) - Premium Package ($620) - Multifunction Steering Wheel ($615) - ParkAssist Front and Rear ($380) - Power Folding Side Mirrors with Courtesy Lights ($320) - Porsche Crest on Headrests ($285) - Power Steering Plus ($270) - Wheel Caps with Colored Crest ($185) - Porsche Dynamic Light System (PDLS) - $136,310 MSRP Codenamed the 991 by Porsche, the newest and greatest iteration of this classic sports car has been improved in every way. A longer wheelbase contributes to more room and more stable handling, while the interior is light years ahead of its predecessor. The engine has been revised and is more powerful and more efficient than ever before, while retaining its legendary sound and performance. The new 911 features all the creature comforts and amenities you would expect from a Porsche, and is primed for the track or a relaxing cruise to dinner. In 4S form, a larger and more potent engine routes its power to a sophisticated All-Wheel-Drive system, and features wider bodywork. Reward yourself! If you are in the market for a Porsche 911 Carrera 4S Cabriolet, please call or email us today. Your dream Porsche will give you plenty of driving pleasure. With the Porsche Approved Certified Pre-Owned Limited Warranty, you will experience yet another good feeling. The feeling of security. And the reassuring certainty to have made the right decision. In case of a problem, the comprehensive warranty covers 100% of the costs for material and labor. 2015 Porsche 911 Turbo Cabriolet PDK *** LOW, NO-HAGGLE PRICES: OUR ADVERTISED PRICE IS OUR BEST PRICE. Get a fair price up front without spending hours negotiating for it. Please confirm the accuracy of the included equipment by calling us prior to purchase. - PORSCHE APPROVED - CERTIFIED PRE-OWNED WITH EXTENDED WARRANTY - Porsche of South Shore is thrilled to present this gorgeous Porsche 911 Turbo Cabriolet. Finished in Black over Black Leather, the 911 Turbo Cab has been driven very few easy miles by ONE previous owner. Expertly maintained by Authorized Porsche Dealers, it is in pristine condition throughout. The 911 Turbo Cab is covered by a Certified Porsche Warranty for an additional two years from the expiration of the original factory warranty, with no mileage limitation. This 911 Turbo Cabriolet has been specified with: - 20-inch Sport Classic Wheels - Wheels Painted in Black - Wheel Caps with Colored Crest - Premium Package Plus - Sport Chrono Package - Model Designation on Doors in Silver - Sport Chrono Dial in White - Instrument Dials in White - Interior Package Painted - Center Console Trim Painted - Fuel Cap in Aluminum Look Finish Building upon the already incredible 911 is the Porsche 911 Turbo. Featuring a turbocharged version of Porsche's venerable flat-six, engine power is routed it to a sophisticated all-wheel-drive system. Shifts from Porsche's PDK Transmission are instantaneous, and the 911 Turbo effortlessly catapults past exotic cars costing several times more! Nearly every performance technology known to man is at your control, creating one of the most accomplished sports cars in the world. And what better way to enjoy this than with the top down? If you are in the market for a Porsche 911 Turbo Cab, please call or email us today. Your dream Porsche will give you plenty of driving pleasure. With the Porsche Approved Certified Pre-Owned Limited Warranty, you will experience yet another good feeling. The feeling of security. And the reassuring certainty to have made the right decision. In case of a problem, the comprehensive warranty covers 100% of the costs for material and labor. 2002 Porsche 911 GT2 (996) *** LOW, NO-HAGGLE PRICES: OUR ADVERTISED PRICE IS OUR BEST PRICE. Get a fair price up front without spending hours negotiating for it. Please confirm the accuracy of the included equipment by calling us prior to purchase. 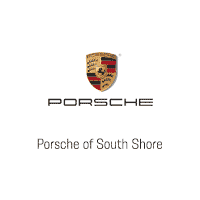 Porsche of South Shore is thrilled to announce the arrival of this pristine Porsche 911 GT2. Finished in Black over Black leather, the 911 GT2 has been driven very few easy miles by only TWO previous owners. Expertly maintained and well-respected throughout its life, the 911 GT2 is absolutely gleaming inside and out. Do not miss the opportunity to add this rare 911 to your collection, as very few of these Rear-Wheel-Drive GT2s were ever built! This 911 GT2 has been specified with many fine options: - Leather Interior Package ($2,980) - Aluminum/Chrome Trim (X71, X70, X54; $1,885) - Sport Seats Painted to Match ($1,495) - 3-Spoke Steering Wheel in Aluminum Look ($1,080) - Rear Center Console in Aluminum Look ($735) - Porsche Crest on Headrests ($220) - Black Mats with Porsche Lettering ($115) If you are in the market for a Porsche 911 GT2, please call or email us today. 2018 Porsche 911 GT3 Manual Porsche of South Shore is proud to present this beautiful Porsche 911 GT3. Finished in Guards Red over Black Leather and Alcantara with Red Stitching, the 911 GT3 has been carefully driven by two previous owners. It is in pristine condition, and the balance of the Porsche Factory Warranty is in effect. This Manual Transmission 911 GT3 has been equipped with many fine options: - Custom Tailoring Option ($5,895) - Full Carbon Fiber Bucket Seats ($5,200) - Leather and Alcantara Interior Package with Red Stitching ($3,480) - Front Axle Lift System ($2,590) - Bose Surround Sound System ($1,600) - Leather Interior with Stitching in Red ($1,500) - Instrument Dials in Guards Red ($860) - Porsche Dynamic Light System (PDLS, $780) - Side Skirts Painted ($760) - Pedals and Footrest in Aluminum ($630) - Sport Chrono Package ($550) - Sport Chrono Dial in Red ($510) - Seatbelts in Guards Red ($360) - Steering Wheel with Top Center Marking in Red ($330) - Headlight Cleaning System Covers in Exterior Color ($300) - Fuel Cap with Aluminum Look Finish ($160) - Extended Range Fuel Tank ($140) - Fire Extinguisher ($140) - Luggage Net in Passenger Footwell - Floor Mats - Voice Control Porsche's track weapon is the 911 GT3. More power, better handling, and an even faster shifting PDK transmission allow it to outclass exotic cars costing more than 3 times as much. The 911 GT3 is built with a racing chassis, dynamic engine mounts, rear axle steering, a 911 GT3 Cup-derived 4.0L flat-six engine, high-performance brake system, and a performance-tuned transmission. Featuring a host of creature comforts and the latest in automotive technologies, the GT3 is equally at home racing on the track or cruising through town. If you are in the market for a Porsche 911 GT3, please call or email us today. 2018 Porsche 911 GT3 PDK *** LOW, NO-HAGGLE PRICES: OUR ADVERTISED PRICE IS OUR BEST PRICE. Get a fair price up front without spending hours negotiating for it. Please confirm the accuracy of the included equipment by calling us prior to purchase. Porsche of South Shore is proud to present this incredible Porsche 911 GT3. Finished in Paint to Sample Signal Green over Black Leather and Alcantara, the 911 GT3 has barely been driven by ONE previous owner. The balance of the Porsche Factory Warranty is in effect, and the 911 GT3 is in like-new condition. This 911 GT3 has been equipped with many fine options: - Porsche Doppelkupplung (PDK) Transmission - Exterior Paint to Sample - Full Carbon Fiber Bucket Seats - Leather and Alcantara Interior with Yellow Stitching - Extended Deviated Stitching Interior Package - Steering Column Casing in Leather with Deviated Stitching - Front Axle Lift System - Bi-Xenon Headlights with PDLS - Extended Range Fuel Tank, 23.7 gal - Fire Extinguisher - Luggage Net in Passenger Footwell - Floor Mats - Steering Wheel and Gear Selector in Leather - Sport Chrono Package with Lap Trigger - Sport Chrono Dial in White - Instrument Dials in White - Pedals and Footrest in Aluminum - Carbon Fiber Interior Trim - Sun Visors in Alcantara - Fuel Cap with Aluminum Look Finish Porsche's track weapon is the 911 GT3. More power, better handling, and an even faster shifting PDK transmission allow it to outclass exotic cars costing more than 3 times as much. Featuring a host of creature comforts and the latest in automotive technologies, the GT3 is equally at home racing or taking a relaxing cruise. If you are in the market for a Porsche 911 GT3, please call or email us today.